Thrasher and Spitfire present Thrash & Burn’s Charred Remains #1. A behind the scenes look at the crew in Milan. 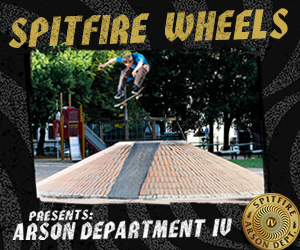 Featuring Kyle Walker, Ishod Wair, Raven Tershey, Evan Smith, Louie Lopez, Raney Beres, Cory Kennedy, Zion Wright, Frank Gerwer and more!